On this unforgettable 15-day tailor-made holiday you'll experience the best that these incredible destinations have to offer as you delve into ancient Mayan culture at the jungle-shrouded ruins of Copán and Tikal; explore the cobblestone streets of Antigua, one of Central America's mots atmospheric cities; barter with the locals at the colourful markets of Lake Atitlán in Guatemala's Western Highlands; marvel at vast underground cave systems in Belize; spend a night under canvas and dine by candlelight at the Mayan ruins of Uazactun; and snorkel or dive with stingrays and harmless nurse sharks among the coral reefs and sparkling waters of Ambergris Caye in Belize, the world's second longest barrier reef. Arrive in Guatemala City and transfer to Antigua, the original capital, now a UNESCO World Heritage Site surrounded by three looming volcanoes. The following day see exactly where the world's favourite drink comes from as you visit some of the region's fair trade coffee farmers. Travel through stunning highland scenery to San Juan Comalapa, where you'll take a tour of the authentic local market. Just as fascinating are the folk paintings that local artists display in household galleries; they're always happy to open their doors to visitors. You'll also visit the Mayan site of Iximché on your way to Lake Atitlán. 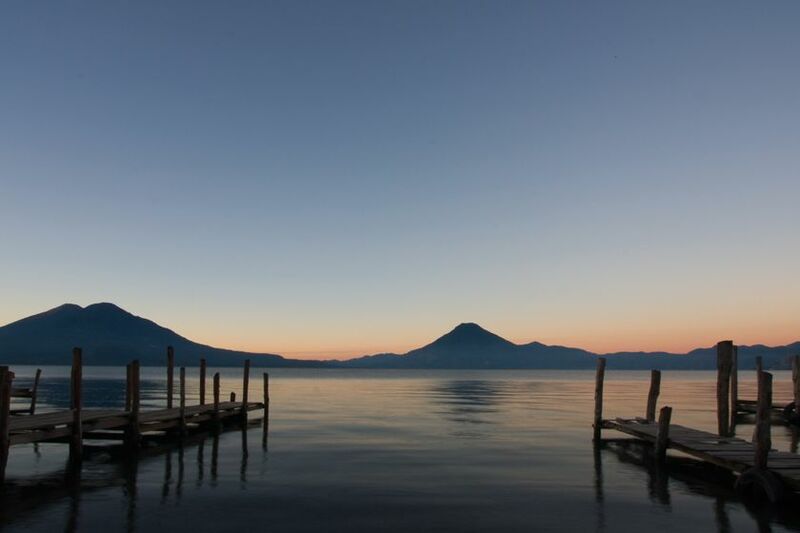 The road to Atitlán offers wonderful views of the lake and the trio of cone-shaped volcanoes that form its backdrop. The next day enjoy a boat trip on the lake to visit some of the Indian villages that line its shore. Each village has its own unique identity and maintains its own colourful traditional dress. Visit the hugely colourful Chichicastenango craft market before returning to Antigua for the night. 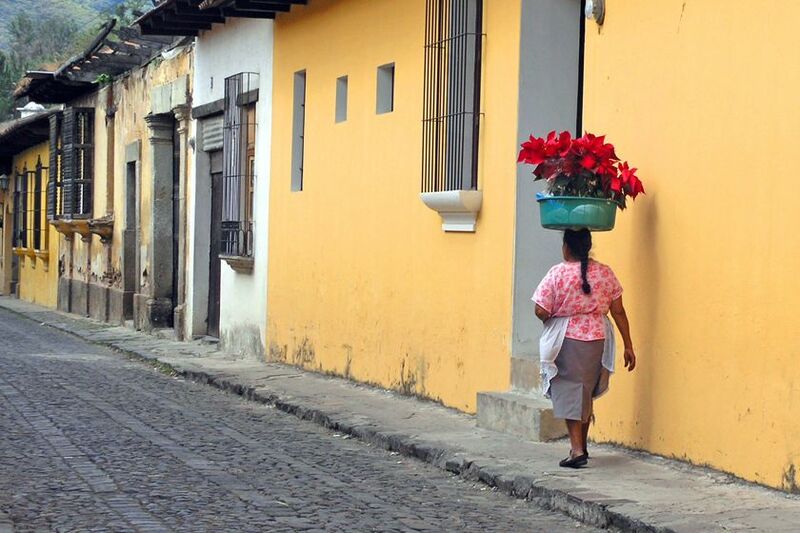 Cross into Honduras and continue to the quiet cobbled town of Copán Ruinas. 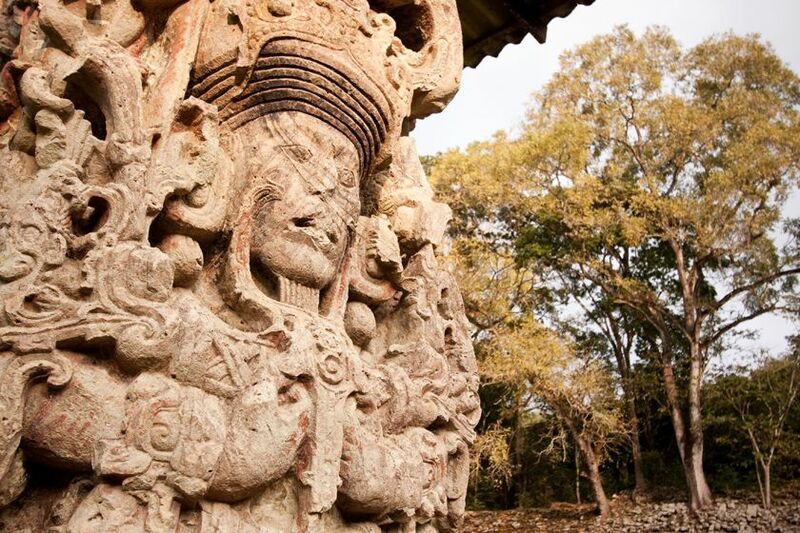 The next day enjoy a full-day tour of the Copán ruins, which stood at the southernmost limit of the Mayan Empire. Long forgotten and buried in the jungle, the ruins were rediscovered in 1839 and are famous for their elaborately carved stelae (stone columns) and hieroglyphic staircase. Head back to Guatemala and into the lush tropical area of Rio Dulce, visiting the Mayan temple at Quiriguá en route. Drive into northern Guatemala and take a sunset tour of Yaxhá, one of the many Mayan sites half-buried in the region's lush lowland jungle. Stay tonight at Villa Maya, a wonderful retreat on the shores of a Lake Petenchel surrounded by rainforest. 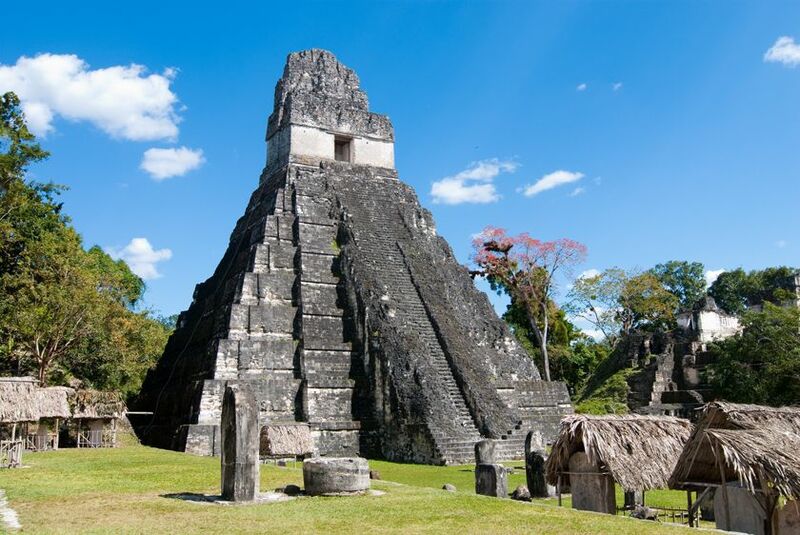 Begin with a tour of Tikal, the most resplendent of Guatemala's Mayan cities. At its centre is the Great Plaza, flanked by tall, well-restored temples that were once covered in stucco and painted bright colours. At 212 feet and 186 feet respectively, Temples IV and V are the highest in the city, and can be climbed by the fit and the brave. Spend tonight camping by a lesser-know set of nearby Mayan ruins, Uaxactun, a magical experience that includes a candlelit dinner among the ruins themselves. Cross the border into the Cayo District of western Belize, where beneath the winding rivers, subtropical forests and tumbling waterfalls are some sensational cave systems, which you'll get to explore on day 12. Take an early afternoon flight to Ambergris Caye, the largest of some 200 small islands surrounded by coral reefs that line the Belize coast. Your resort, Ramon's Village, is on a lovely stretch of beach just a five-minute walk from the main town of San Pedro. The main attractions are snorkelling, diving, sailing and fishing. 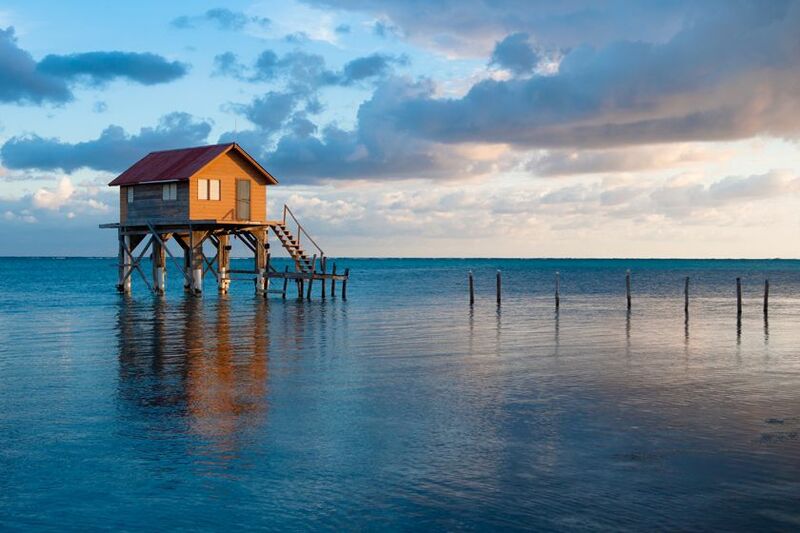 Fly from San Pedro to Belize City where you'll connect with your onward flight.